Rome is the capital of Italy and with around 3 million inhabitants it makes it the fourth most populous city in Europe. If you are travelling to this city, you must not miss these 4 sites. The Colosseum is an amphitheater that was built by the Roman Empire in the year 72 and is located in the centre of the city of Rome. It’s dimensions are 188 metres in length, 156 metres in width and 57 metres in height. In its early days it was called the Flavian Amphitheater in honor to the Flavia Dynasty of emperors that had constructed it. Later, the name was changed to the Colosseum after a great statue that was nearby, the Colossus of Nero. Originally, the Roman Coliseum had a capacity of 50,000 spectators who enjoyed events with exotic animals, executions of prisoners, recreations of battles and gladiator fights. It remained active for 500 years until in the sixth century when the last event was held. Since then, the Colosseum has been used as a warehouse, church, cemetery and as a castle for the nobility. Currently, the Coliseum is Rome’s biggest tourist attraction and 6 million tourists visit it each year. 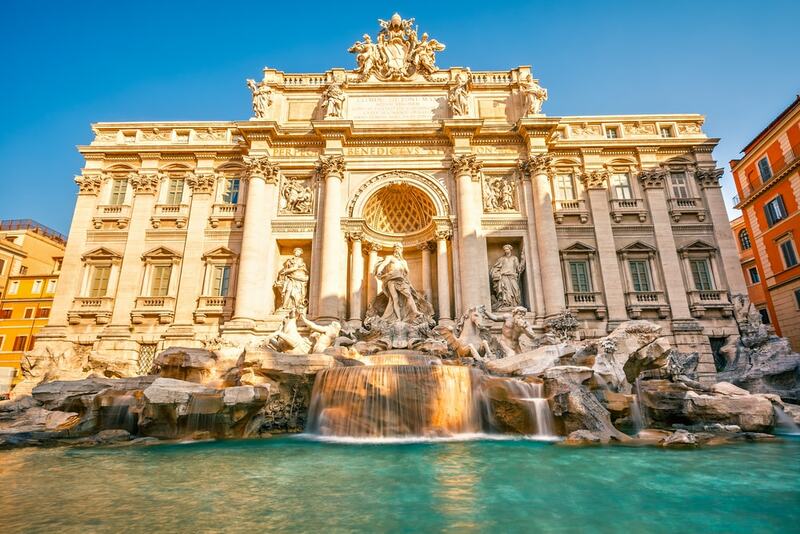 The Trevi Fountain, with dimensions of almost 20 metres wide and 26 metres high, is Rome’s largest and most extravagant fountain. Located in the centre of the city, the fountain was under refurbishment until the end of 2015, when it was re-inaugurated. At the beginning of the nineteenth century the fountain was the end of an aqueduct called Aqua Virgo Aqueduct, that was located approximately 20km from the city, and supplied water to Rome from a spring. Currently, the Baroque style fountain represents Neptune, god of the sea, taming the waters. 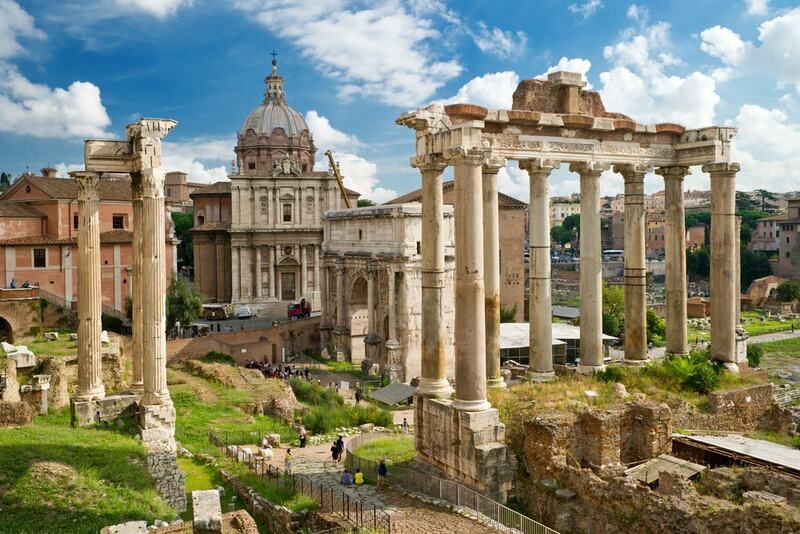 The Roman Forum was the central area of ​​the city of Rome, that is, where the public and religious life of that time was developed. Trade, business and the administration of justice also took place. After the Roman Empire, the Roman Forum was no longer used, fell into oblivion and was buried. It was not until the 20th century, when it was fully excavated. 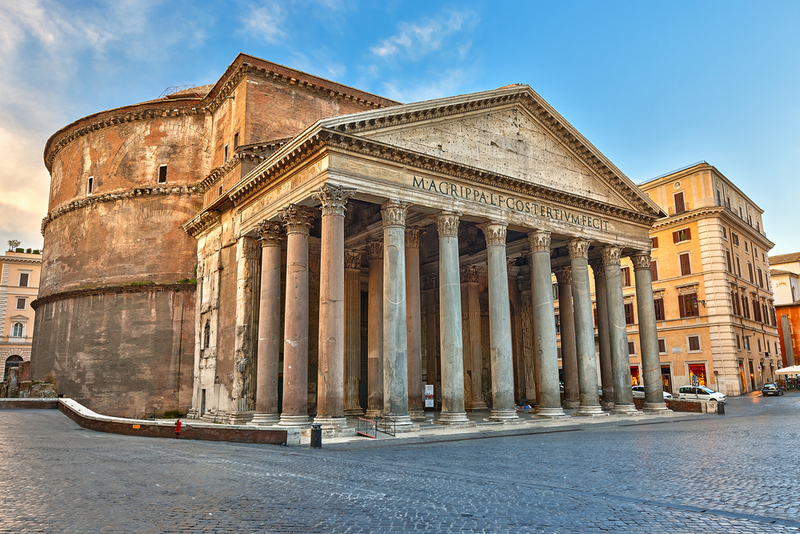 The Pantheon of Agrippa, or Pantheon of Rome, is a temple of circular plants constructed between the years 118 and 125 A.D. and is the best preserved building of Ancient Rome. It’s measurements are eye-catching, since it measures exactly the same in height as in diameter: 43.3 metres. In the centre of the dome there is an 8.92 metre (in diameter) window that allows natural light to enter and illuminate the whole interior of the building. The rectangular facade is composed of 16 columns each 14 metres in height on which it is written: “M.AGRIPPA.LFCOS.TERTIVM.FECIT”, which means: “By Marco Agrippa, son of Lucio, consul for the third time”.